Paolo LEMBO, the Resident Representative of UNDP and the Coordinator of the United Nations System, has reminded Burundians that there is no doubt their country still needs UN support to achieve sustainable development. “Regardless of opinions people may hold about the work of the UN, Burundi still needs the support of the organisation to move from the current peacebuilding stage to sustainable development”, he said in his speech during the inauguration of the new building of the United Nations Development Programme this 24 October 2016. The relationship between Burundi and the UN has worsened over the last months. The UN has accused the Burundian government of responsibility for serious human rights violations that have characterized the current crisis. As a consequence, the UN intended to intervene in Burundi. Burundi government retorted by banning three UN experts that highlighted the involvement of government officials in grave rights violations. 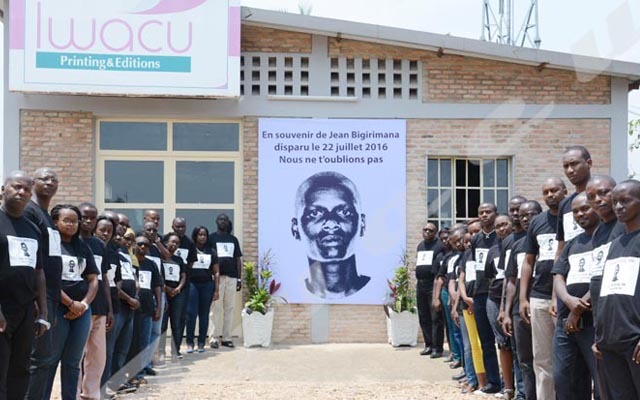 Eventually, the government decided to stop any form of cooperation and collaboration with the Office of the United Nations High Commission for Human Rights (OHCHR) in Burundi. Despite the tensions between Burundi and the UN, the Ministry of Foreign Affairs represented by its permanent secretary, Ambassador Joseph Bangurambona, recognizedthe need of “solidarity with UNDP and other partners to build peace and eradicate poverty in Burundi”. As for Lembo, the UN secretary concern for Burundi is not interference in internal matter of the country. When the UN calls the government to take action to guarantee human rights and achieve peace, it is rather because “peace and respect of human life and rights of all Burundians without exception can only help Burundi”, he said.